Carnivorous plants, jumping spiders and misunderstood wolves: just another day at NCF, India! 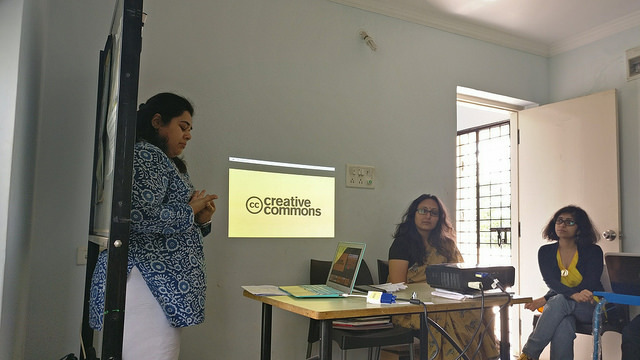 Aparna Kapur, Assistant Editor, Pratham Books recalls our recent writing workshop with conservationists and research scholars at the Nature Conservation Foundation, India. 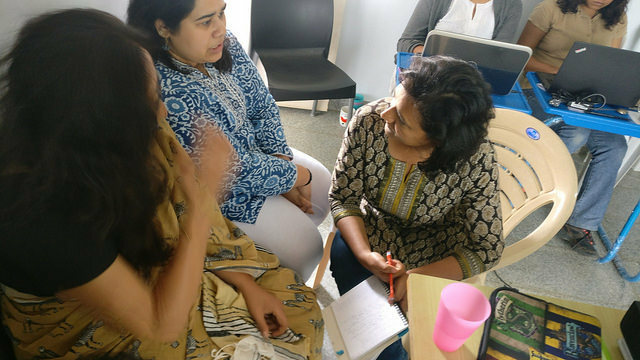 I’m less than two months old in Pratham Books and have heard all about the various writing, translating, outreach workshops conducted by the team. So when I was asked if I wanted to tag along to a workshop about making Level 1 and Level 2 picture books, I was keen to observe and said yes immediately. Of course, the luxury of silent observing was not given to me and I was assigned an activity to conduct. Trying to create an illusion of choice, I happily agreed. The workshop was being conducted for the members of the Nature Conservation Foundation. The NCF office is located on a quiet street that’s lined with trees, and when we walked in we were immediately met with the bustle of breakfast time. We were then ushered into a room, which would soon contain eleven workshop participants and four workshop conductors. Once we figured out the logistics of seating (the view was beautiful but the room was snug) and the mechanics of projecting (acquiring the right wire), we were ready! As way of introduction, we went around the room telling everyone who our favourite children’s book character is, which is how I think we all should introduce ourselves from now on. Then we talked about Pratham Books and picture books, and read out some titles from StoryWeaver. This was followed by a quick tour of the StoryWeaver website where we showed them how to browse the site, search for images and create books. The NCF folk were involved and enthusiastic. This was followed by a coffee break where everyone got to enjoy the generous collection of picture books that Bijal Vachharajani, Consultant Editor, Pratham Books had brought along. After coffee, we divided the eleven of them into groups for the first activity. Each group was given a list of rules for making a picture book, and had to arrange them in the order they considered most important. This led to some fascinating debates about the balance of text and images, the necessity of morals and optimism, and the need for rhythm and rhyme. After that we told the groups to come up with a simple story based on eight random pictures. We had delightedly strung an outlandish sequence of pictures the previous day, and this served as their framework. Each time we moved to the next picture, the teams let out a groan and we smiled in (evil) satisfaction. The three stories we got at the end of it, however, were amusing and coherent. That’s when I realised that each of these eleven people had a knack for storytelling! My realisation was confirmed when we they began to think of ideas. Considering their work, we did expect interesting environmental themes. But we were an excited group of editors when their pitches included carnivorous plants, geckos, and misunderstood wolves! After a well-earned lunch, we all went back to work. And by all, I mean the NCF people worked on the drafts of their stories while we sat like invigilators, reading their drafts and occasionally helping them find their way out of tricky spots in their manuscripts. Finally, everyone read out their stories. 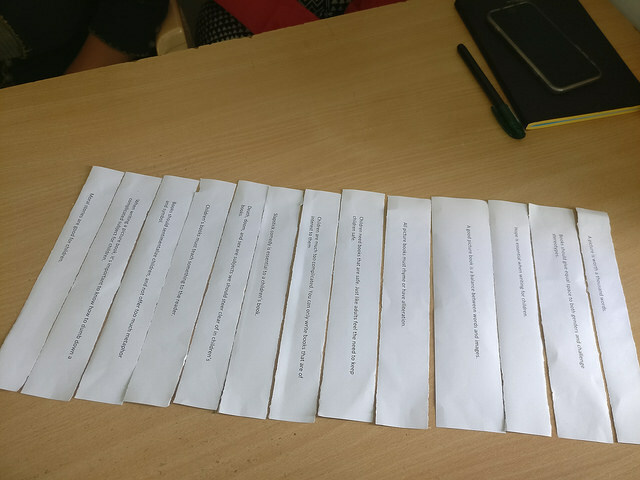 Some employees who were not attending the workshop had given us explicit instructions to invite them for the idea-sharing and storytelling part of the workshop. They ended up being a participative and enthusiastic audience. We trust that this workshop gave the NCF team a foundation on which they will go on to write many many picture books. In return they gave us some fantastic ideas and superb stories!